White is sophisticated and graceful. It is timeless, the colour of weddings, lace, frosting, and frost. White reminds us of clean linens blowing on the line, cool marble halls, fluffy clouds, and sparkling winter snow. With an innovative new idea from The Fireplace Warehouse, the elegance of white may now be brought indoors in unexpected ways. Wall stone panels in thin white are natural stone facades that can be placed over existing fireplace interiors for a budget upgrade without sacrificing quality. The distinctive stacked-look stone wall panels in thin white are well made from thin slabs of exquisite white rock that will enhance every décor and last through the ages. The panels may be installed inside the firebox of any gas, electric, or solid fuel fireplace, providing a clean, updated look. They offer attractive thermal safety and value when installed on walls behind a wood stove, or may be used as a beautiful and elegant stand-alone wall treatment. 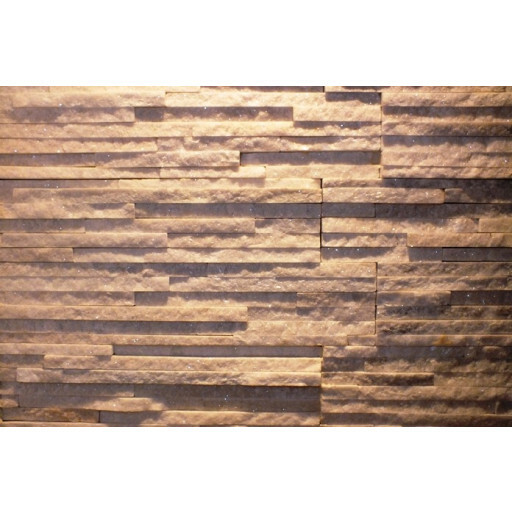 Thin white wall stone panels are available online or in stores. The panels measure approximately 400mm x 150mm and each box covers approximately 0.60 m2. I fitted these tiles around my chimney breast with a flueless wall hung gas fire. Chimney breast removed in the bedroom.